As a green and wide-eyed young school-leaver, one of my early jobs for the Invercargill NZPO Radio Depot based at Awarua Radio was to provide support to Milford Track communications. This yarn gives some insight into track communications around 1968, and how that activity came about. My boss, Paul Dennison, and I drove up to Milford Sound from Invercargill. How great to drive through this wild, mountainous country as part of a day job. Up until 1970 the Milford Sound access road was seasonal, being closed in winter due to avalanche risk, but in summer it was a quiet avenue of green with relatively few cars on the road by today’s standards. 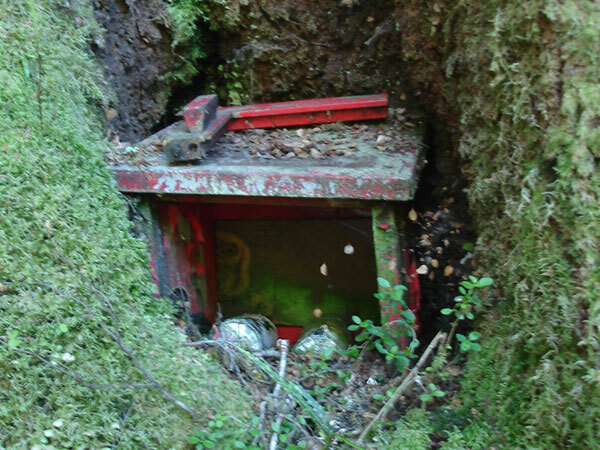 The Homer Tunnel was built in the 1930s as part of a Great Depression work scheme, but it was not until 1952 that the Milford road was finally completed. 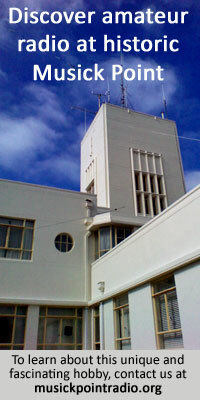 Up until that time the sole communications with to Milford were by boat, air or HF radio link to Awarua Radio. However, the scenic popularity of the area was well known even then, and pressures were increasing for better services to be provided. 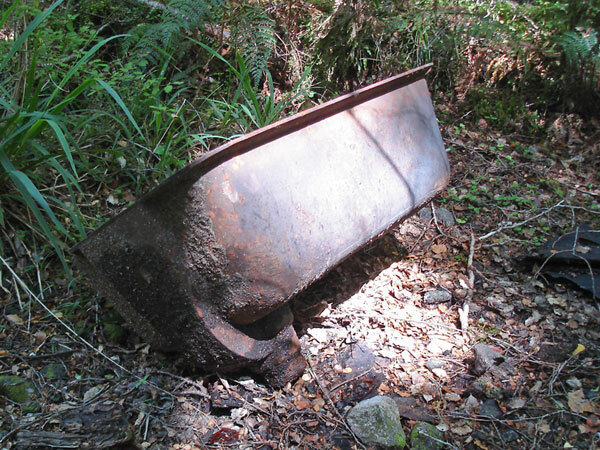 Regarding the Milford Track, for decades it had been a ‘guided only’ walk operated by the Tourist Hotel Corporation (THC) of the New Zealand Government and was accessible mainly to the more affluent travellers. These walkers stayed at Glade House at the head of Lake Te Anau, Pompolona Lodge, Quintin Lodge and at the only accommodation in Milford itself, the THC Hotel. In April 1965, however, 28 members of the Otago Tramping Club staged a ‘Freedom Walk’ along the track, the outcome of which in 1966 was the opportunity for independent walkers to use the Milford Track, staying at what are now DOC’s Clinton, Mintaro and Dumpling huts. Track communications were by telephone between the THC track accommodations. 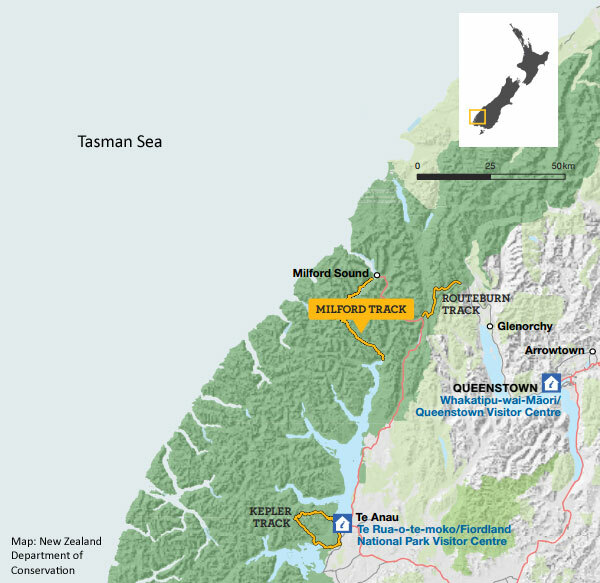 There was no extension of that line at either end into Milford or Te Anau. If anyone at Milford wanted to talk to a hut they had to take a boat across Milford Sound to the aptly named ‘Sandfly Point’ at the track end and use the phone there. But to say there was a telephone line does not do justice to this circuit. Consider that running a telephone connection through a forest will have resulted in tree branches falling on telephone lines and washouts from slips or floods due to an average rainfall of 6.4 metres a year. So yes, in its earlier years the track had a permanent resident during the summer months, a Post Office linesman, whose job was to repair lines and replace telephone batteries as required. 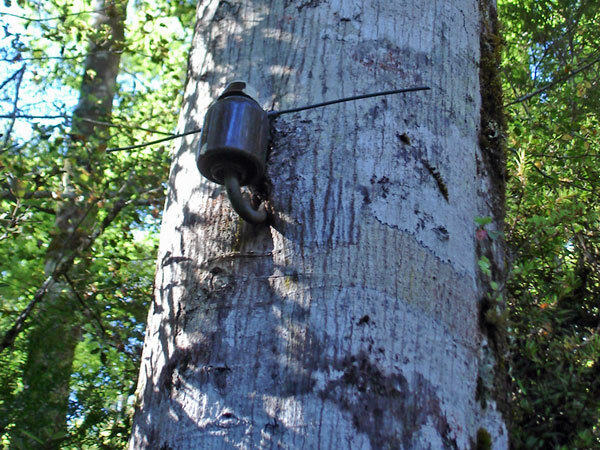 Because of the fragility of the line the telephone circuit used was ‘earth return’, which meant that only one wire extended the length of the Milford Track, the electrical return path was provided by making a solid earth connection at each telephone and letting the conductivity of the earth carry the return current. 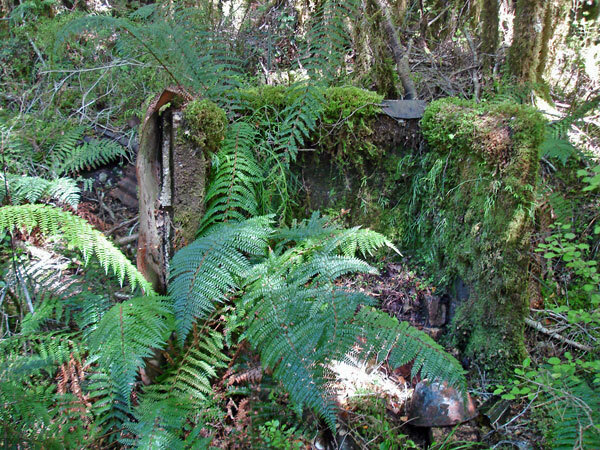 My role on this mission was two-fold – to make radio calls from Quintin Lodge back to Paul in Milford to assess the possible use of VHF radio contact between our two sites and to change the batteries in the telephones at huts and behind trees between Quinton Lodge and Sandfly Point. As we approached Milford, Paul made a left turn and drove us into the Milford Airport where we found a rather startled pilot. Paul asked him if he would fly me to Quinton Lodge. The reason the pilot had looked startled (he told us) was that they were just about to close down the airport for a few days so they could seal the gravel runway. However, yes he could make one last flight for us. Into the plane I hopped with my pack and off we zoomed out across idylic Milford Sound, past majestic Mitre Peak and up the valley to land on the grass airstrip at Quinton Lodge. I got out, waved the pilot goodbye, then turned to meet the lodge staff who were curious about this impromptu flight. “Who are you?” they said. “I’m Rex from the Post Office, come to do radio checks,” said I. They looked surprised. “Where are you staying?” they asked me. This sounded to me like a small lack of planning because of an inadequate communication system. My radio checks that afternoon were most succesful and I was able to talk directly to Paul from inside the lodge. When I walked around outside I found there was a thin line of communication across the end of the runway and into the lodge. Looking at the circular wall of rock cliffs surrounding the hut, I understood the rocks may have made a sort of signal ‘focus point’ about where the buildings were. I could also the imagine the hard work Paul must have been doing at his end, while leaning on a bar gossiping with the Milford Postmaster. The following morning I started my telephone maintenance by changing the batteries in the lodge phone. And yes, this phone and the others I was to visit were an ornate wooden cabinet screwed to a wall or tree, a magneto crank used to make a ringing code on the line and which had two No. 6 cells in each phone. Youngsters should understand that a No.6 cell was a 1.5 volt battery about the size and weight of a large block of butter. I had at least 12 of these in my pack, so there was no chance of me breaking into a sprint along the track. Tidy Kiwi rules also meant I had to carry out the flat batteries, so the weight in my pack never got lighter. So I did my walk out, changing batteries and enjoying the day. Paul met me with a hired boat so I didn’t have to hang around with the guided walkers at Sandfly Point and that was my only Milford Track experience for over 40 years. In 2010 some friends convinced me that we should do the Milford Track as guided walkers (pampered trampers) which I agreed to. Things had changed a lot in the intervening years as the NZPO had been privatised in 1987, telephone cables were buried along the Milford Road back to Te Anau, hilltop VHF radio repeater sites linked the track huts, the airstrips had grown over and helicopters removed all waste and the volume of people walking the track had shot up significantly. On my walk, the guides showed us where the Post Office linesman’s hut had been, just off the track. We examined the remains of a telephone behind a tree and saw the last stages of decay of spare No. 6 cells in a box underneath. 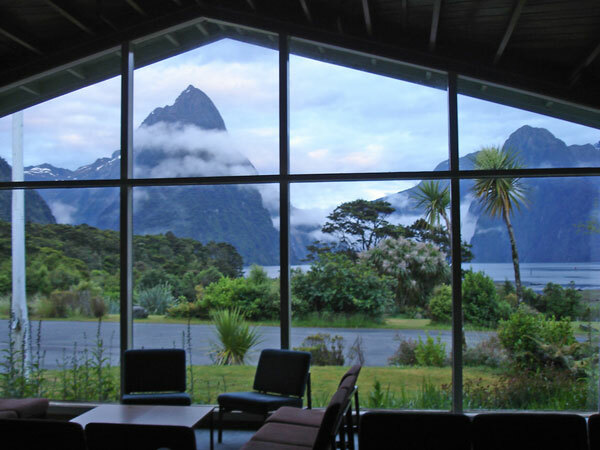 My personal moment of triumph was when we reached Quintin Lodge and I was able to puff out my chest and boast that I had finished walking the Milford Track a day before everyone else, even if it had taken me 42 years to do it. Since I had enjoyed that first walk I decided to do it again and so far have done the section from Quinton Lodge to Sandfly Point. Hmm, it seems there may be a pattern forming here.